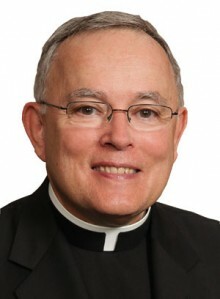 Archbishop Charles J. Chaput delivered the following speech, termed an intervention, Oct. 10 in Rome at the Synod of Bishops on the Family. Pope Francis is leading selected bishops from around the world this month to discuss pastoral issues concerning marriage and family. The Holy Father has wisely encouraged us to be both fraternal and candid in speaking our thoughts during this synod. Just as our thoughts shape the language we use, so too the language we use shapes our thinking and the content of our discussions. Imprecise language leads to confused thinking, and that can sometimes lead to unhappy results. I want to share with you two examples that should cause us some concern, at least in the English-speaking world. The first example is the word inclusive. We’ve heard many times that the Church should be inclusive. And if by “inclusive” we mean a Church that is patient and humble, merciful and welcoming — then all of us here will agree. But it’s very hard to include those who do not wish to be included, or insist on being included on their own terms. To put it another way: I can invite someone into my home, and I can make my home as warm and hospitable as possible. But the person outside my door must still choose to enter. If I rebuild my house to the blueprint of the visitor or stranger, my family will bear the cost, and my home will no longer be their home. The lesson is simple. We need to be a welcoming Church that offers refuge to anyone honestly seeking God. But we need to remain a Church committed to the Word of God, faithful to the wisdom of the Christian tradition, and preaching the truth of Jesus Christ. The second example is the expression unity in diversity. The Church is “catholic” or universal. We need to honor the many differences in personality and culture that exist among the faithful. But we live in a time of intense global change, confusion and unrest. Our most urgent need is unity, and our greatest danger is fragmentation. Brothers, we need to be very cautious in devolving important disciplinary and doctrinal issues to national and regional episcopal conferences — especially when pressure in that direction is accompanied by an implicit spirit of self-assertion and resistance. Five hundred years ago, at a moment very like our own, Erasmus of Rotterdam wrote that the unity of the Church is the single most important of her attributes. We can argue about what Erasmus actually believed, and what he intended with his writing. But we can’t argue about the consequences when the need for Church unity was ignored. In the coming days of our synod, we might fruitfully remember the importance of our unity, what that unity requires, and what disunity on matters of substance implies.